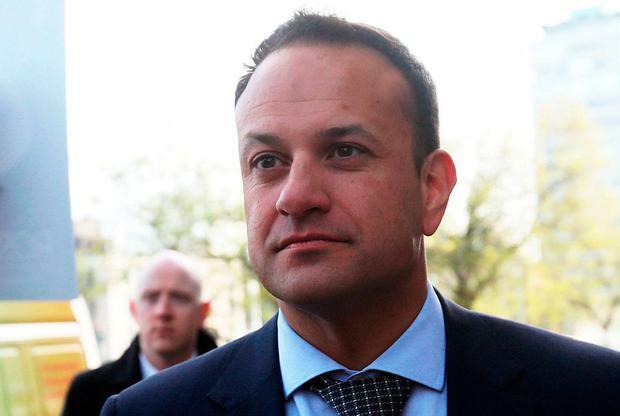 IRELAND is not planning for border on the island in the event of a hard Brexit, Taoiseach Leo Varadkar has said. The Taoiseach is adamant that even if the UK crashes out of the European Union in March 2019, a border will not be erected. A ‘no deal’ scenario could see World Trade Organisation (WTO) rules apply which would introduce tariffs on goods and services crossing between the Republic and Northern Ireland. But Mr Varadkar insisted today that a physical border is not an option. "That will just never happen, ever," he said. Last week UK Prime Minister Theresa May tabled a proposal aimed at providing a temporary solution to the ‘Irish question’ – but it has been largely rejected by the EU. Despite this, there is growing expectation that the Brexit negotiations will be allowed move when EU leaders meet later this month. He said the deadlines for the withdrawal agreement is October but Ireland will insist on “real and meaningful progress by the June summit at the end of this month”. “What was produced by London last week is a small step in the right direction. It helps to find some solutions when it comes to the customs aspect of the Irish border question. We don’t have enough when it comes to the regulatory alignment of the border questions,” he said. The Taoiseach said a date cannot be put on when the temporary customs arrangement suggested by the UK will end. The document put forward by Mrs May said it’s expected a permanent solution would be in place by the end of 2021. "The whole point of a backstop is that it’s there as a backstop until something better is agreed," Mr Varadkar said. "We’re going to need to see some more movement from London between now and the summit at the end of the month before we can be satisfied." He was speaking at the launch of a new plan to grow this country’s international footprint. Plans include the establishment of new embassies in Ukraine, Morocco and Philippines. New consulates are to be opened in Cardiff, Frankfurt and Los Angeles. At the event, Tánaiste Simon Coveney said: "These increased resources abroad will help Ireland play our full role in addressing global challenges, while also meeting our moral obligations as global citizens. "That’s why we are seeking a seat on the UN Security Council and it’s why we plan to rapidly scale up our spending on Overseas Development Assistance towards 0.7pc of GNI, as also signalled in the strategy launched today."